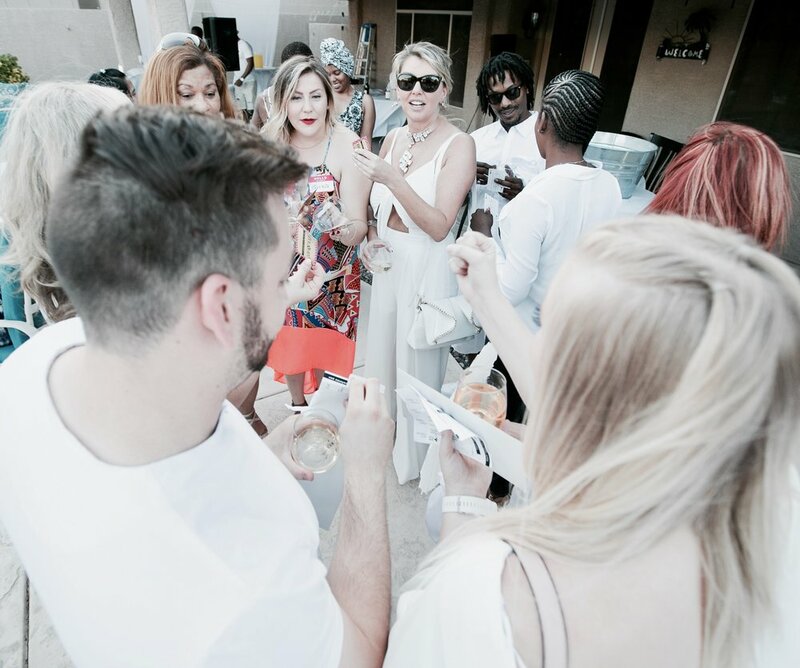 What to Expect: An assortment of white wines paired with a light, all-white menu; indoor and poolside lounge settings; outdoor temperatures between 93°F and 89°F; social activities + conversations; and a liquid stage for an enchanting sunset performance. Read more about our social tasting series. Tell us your preference: Botter or La Marca Prosecco? 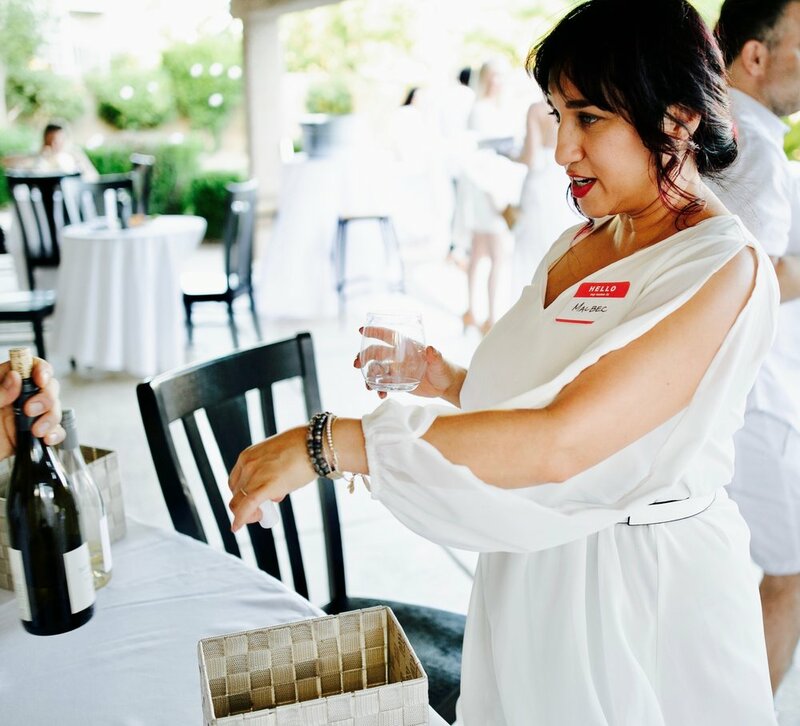 Fitting for fresh beginnings and with summer looming, we decided on an intimate, all-white theme to debut our series of social tastings. C'est Blanc will feature a selection of white wines and bites that complement the offerings. After all, tis the season for chilled wines and enjoying backyard sunsets. The recommended attire is summer and poolside chic. Yes, we'd like to see you in all-white fashion, however it is not required. Disclosed to ticket holders and confirmed guests. Matthew transitioned his longstanding devotion to wine into a disciplined effort to better understand the world through Oenology. For the past six years he has redefined the expectations of the formal wine tasting experience as a wine educator in Las Vegas. We are delighted to offer his careful selection of white wines to pair with the food menu. Andrea is a Partner with TEEMA Group, a nation-wide recruiting and staffing firm delivering full-cycle staffing solutions for both permanent and contract recruitment needs. A matchmaker, both professionally and personally, she thrives on connecting people. Niya Rivera began her artistic journey at the age of four. Developing and expanding her natural talent with acrylic painting over the years, she has created incredible pieces, both commissioned and traditional. Through her work, she supports numerous charities and organizations including the Boys and Girls Club, Susan G. Komen and Nathan Adelson Foundation. She’s a proud mother and animal lover, who spends her down time with nature.